Skyrim Nexus, gekkou1992. 17 Apr 2019. EatingSleepingDrinking - KuNeruNomu -. 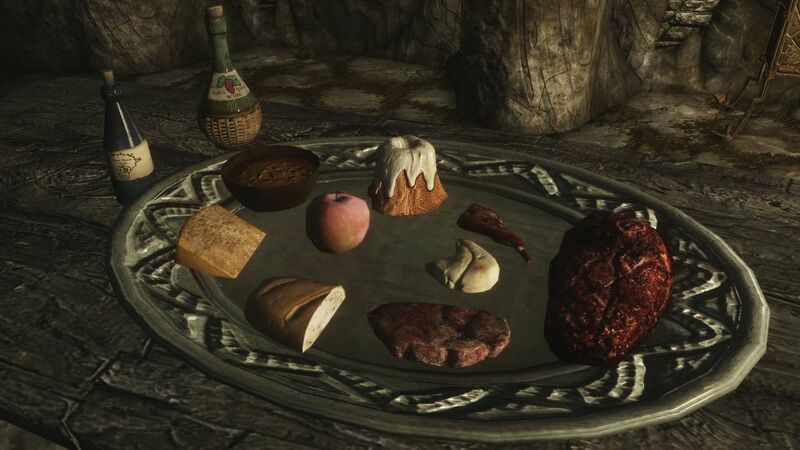 22 Mar 2014 <https://www.nexusmods.com/skyrim/mods/52269>. 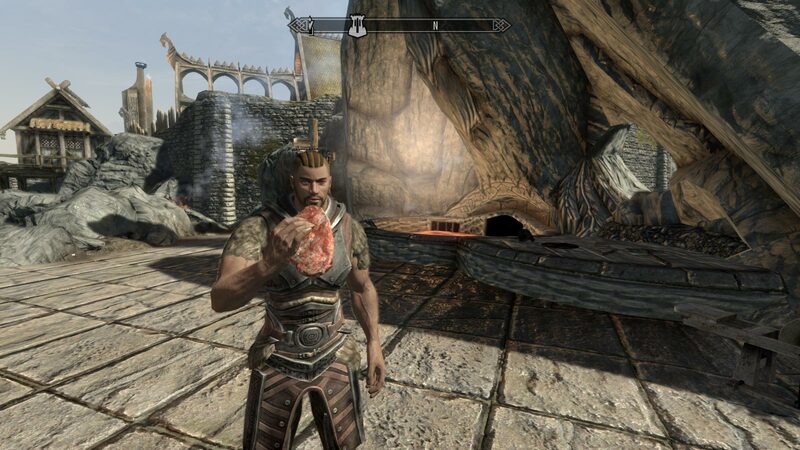 Skyrim Nexus, Andrelo. 23 Mar 2019. 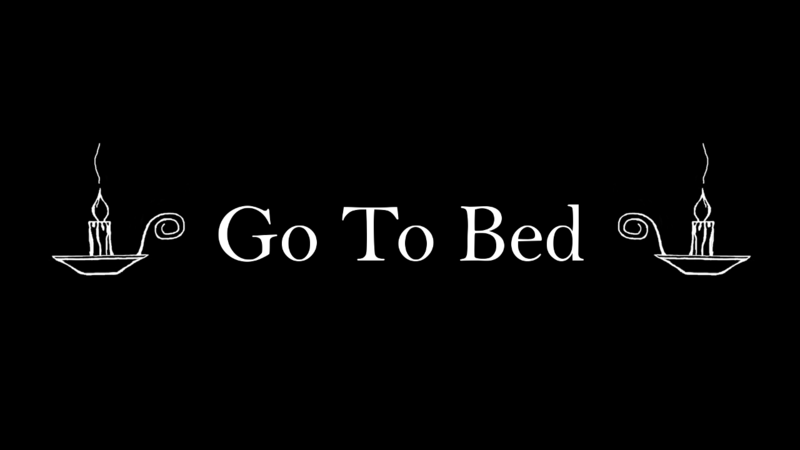 Go to bed. 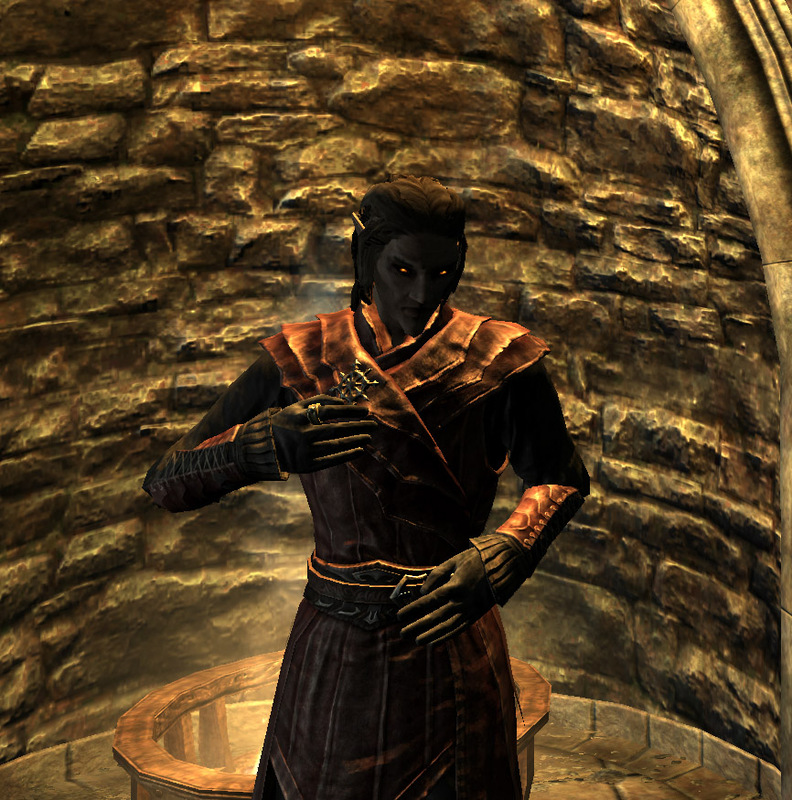 13 Jul 2015 <https://www.nexusmods.com/skyrim/mods/67763>. Skyrim Nexus, mzin. 21 Dec 2016. 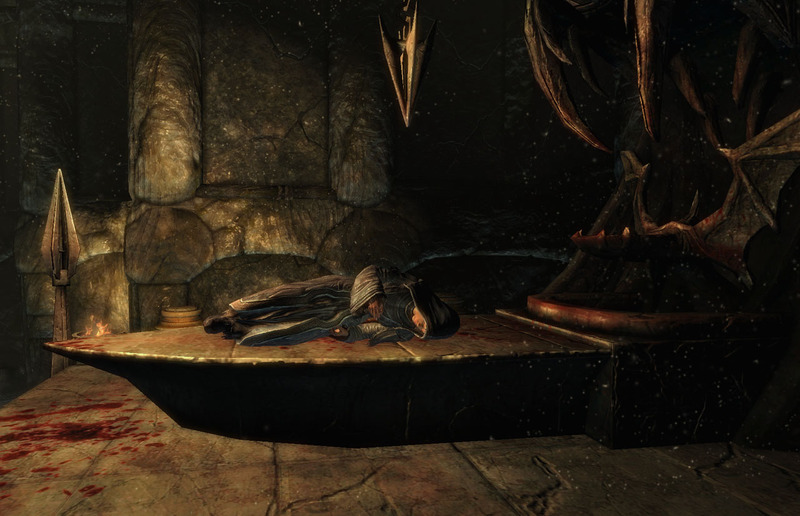 Bathing in Skyrim. 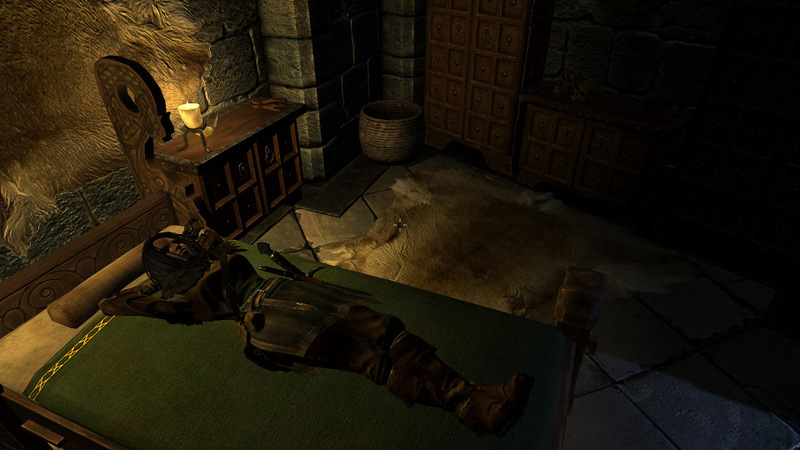 6 Dec 2014 <https://www.nexusmods.com/skyrim/mods/60421>. Skyrim Nexus, wgstein. 12 Nov 2016. 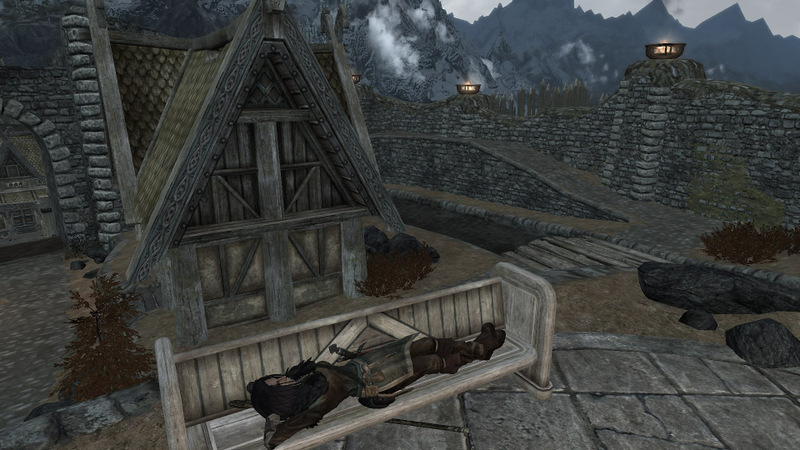 Dovahkiin Relaxes Too. 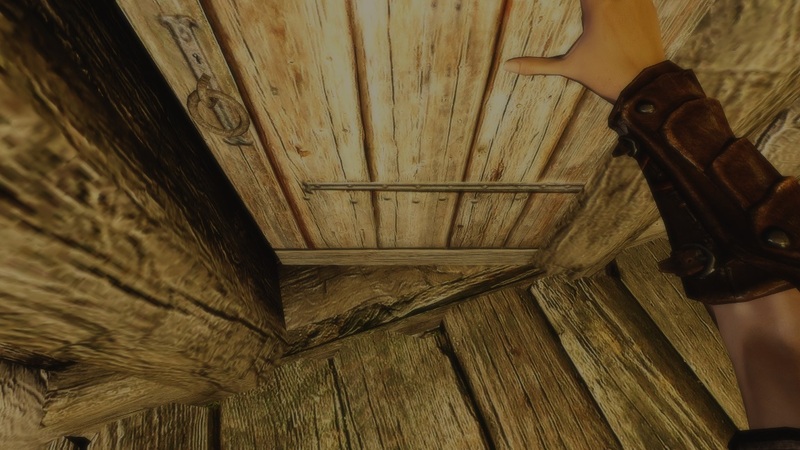 29 Mar 2012 <https://www.nexusmods.com/skyrim/mods/13931>. Skyrim Nexus, IronDusk33. 6 Jul 2016. Emote. 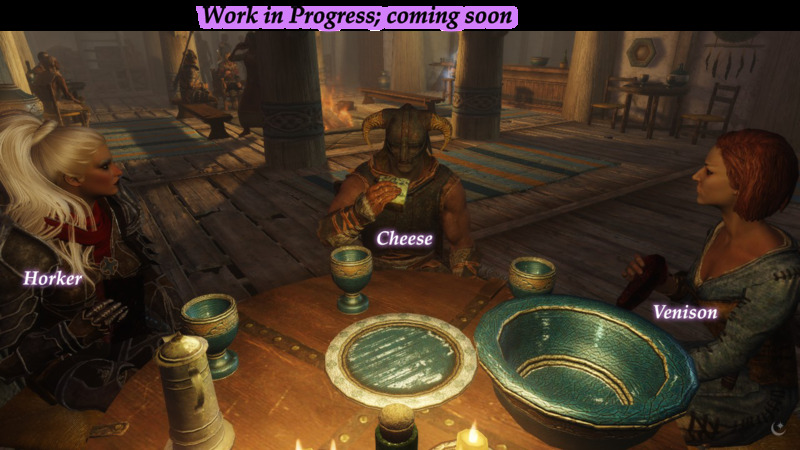 6 Jul 2016 <https://www.nexusmods.com/skyrim/mods/76873>. Skyrim Nexus, iwakurasuan. 6 Oct 2017. Bath Time. 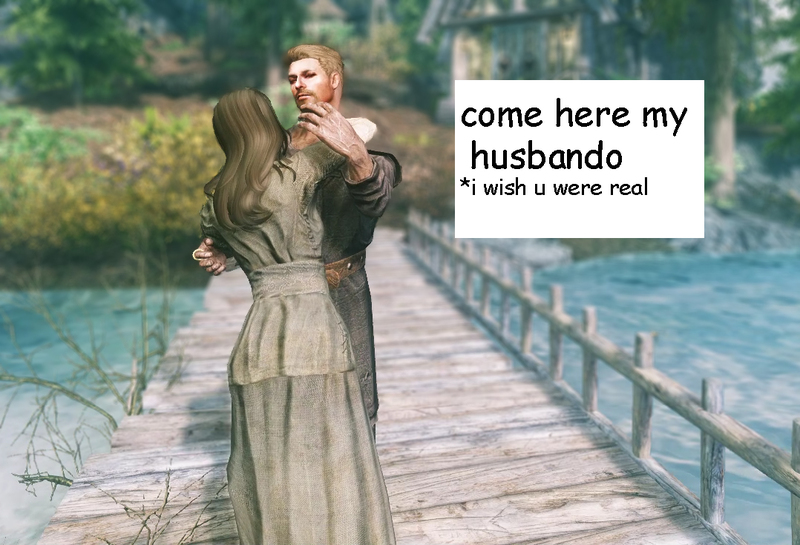 6 Oct 2017 <https://www.nexusmods.com/skyrim/mods/87177>. Skyrim Nexus, Genebriss. 15 Oct 2017. Animations. 27 Feb 2014 <https://www.nexusmods.com/skyrim/mods/51554>. Skyrim Nexus, vwr. 12 Jun 2014. vwr Idle Markers. 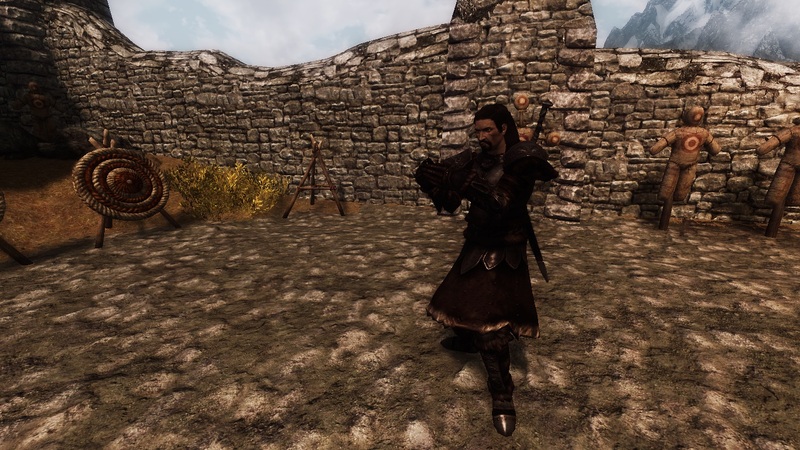 10 May 2014 <https://www.nexusmods.com/skyrim/mods/53902>. 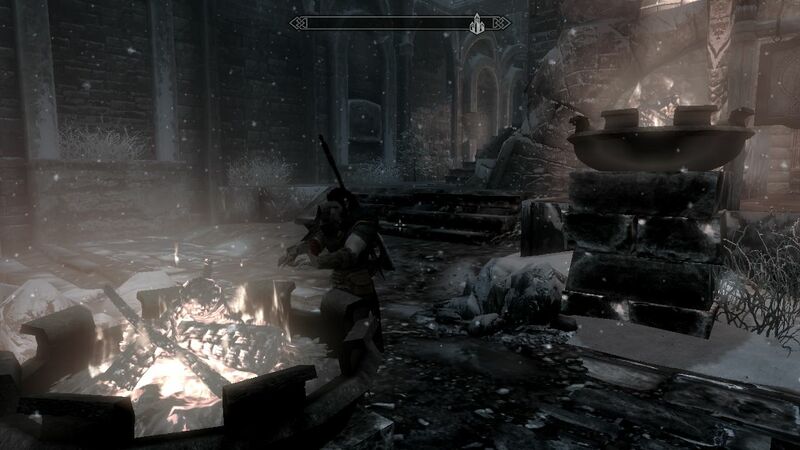 Skyrim Nexus, BralorMarr. 12 Oct 2014. Simple Actions - The floor is as good a place to sleep as any. 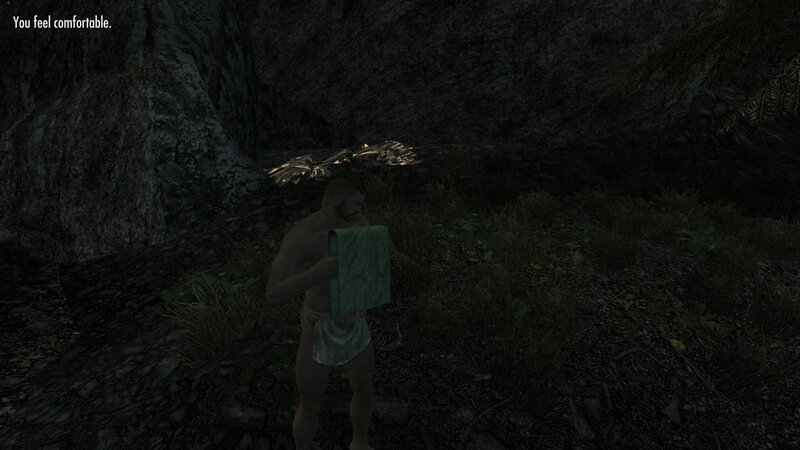 21 Sep 2014 <https://www.nexusmods.com/skyrim/mods/58296>. Skyrim Nexus, Varakz. 26 Dec 2015. 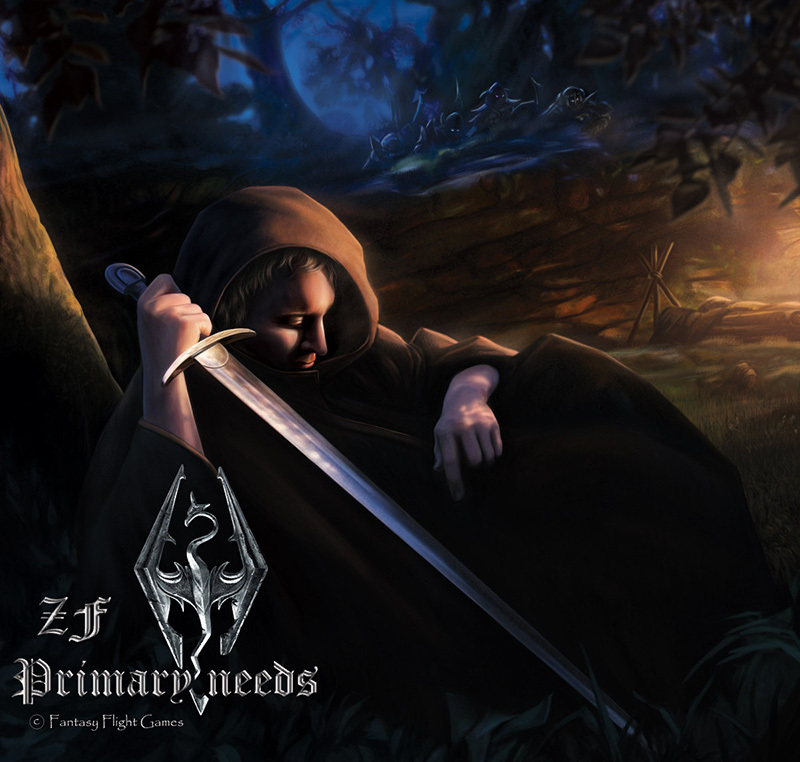 ZF Primary Needs. 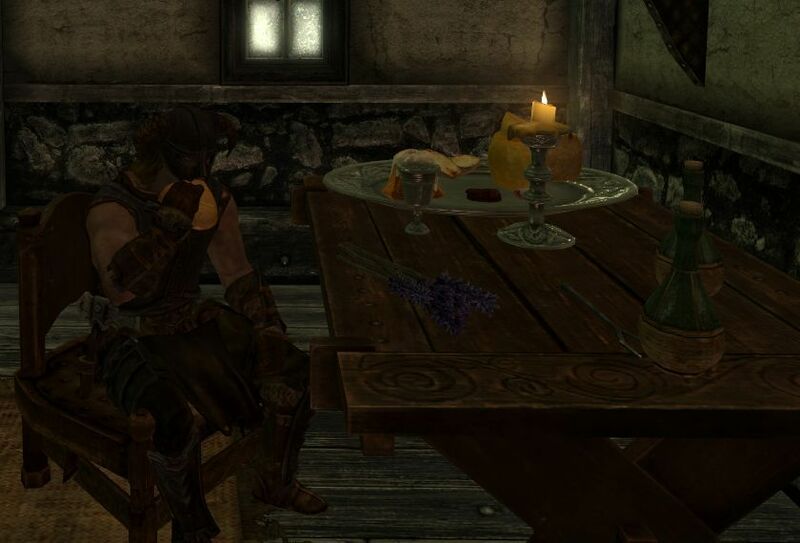 5 Jun 2013 <https://www.nexusmods.com/skyrim/mods/36898>. 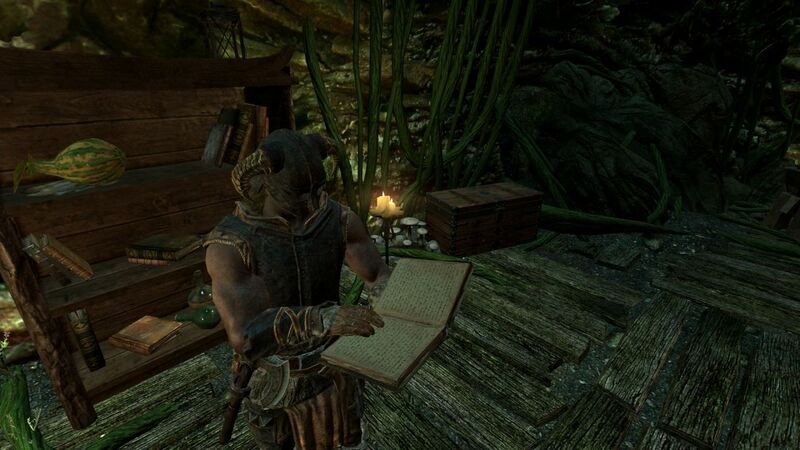 Skyrim Nexus, foster. 28 Dec 2015. Fully Animated Meals Potions - See yourself Eat and Drink. 31 Oct 2012 <https://www.nexusmods.com/skyrim/mods/26271>. 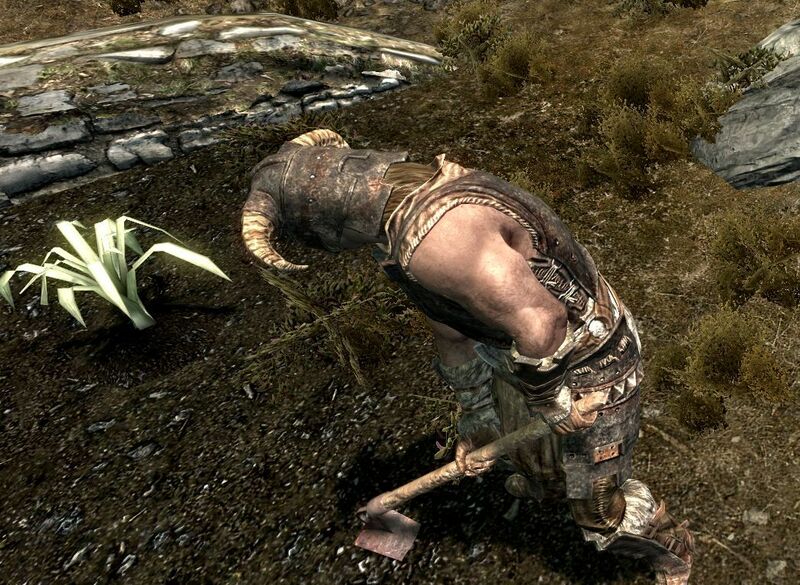 Skyrim Nexus, T3nd0. 26 Dec 2017. 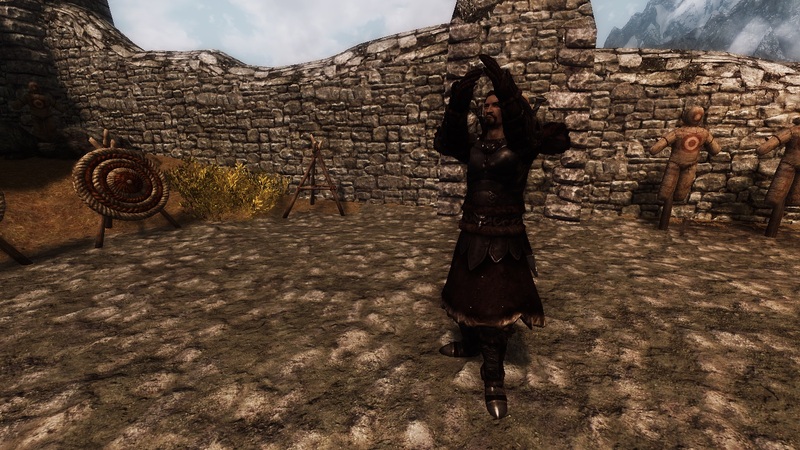 Free Hug Mod - A mod for love (No messagebox edition). 26 Dec 2017 <https://www.nexusmods.com/skyrim/mods/88576>. 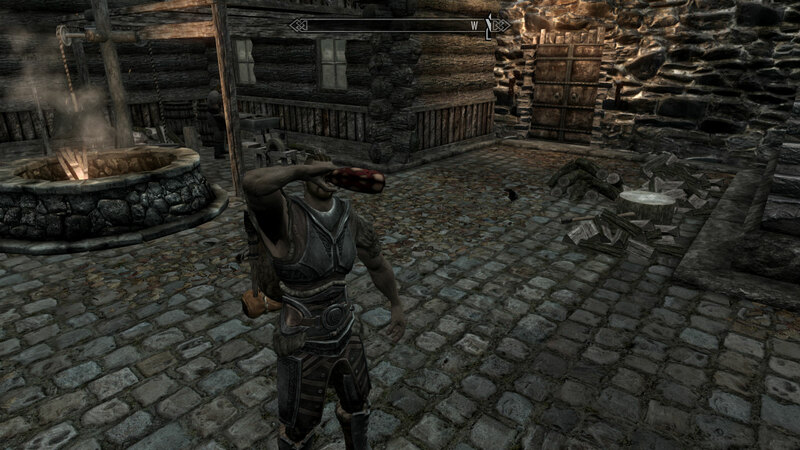 Skyrim Nexus, BakaFactory. 26 Oct 2017. Spartan Kick. 25 Oct 2017 <https://www.nexusmods.com/skyrim/mods/87520>. Skyrim Nexus, CichyXIII. 24 Aug 2013. Dovahkiin Takes Action. 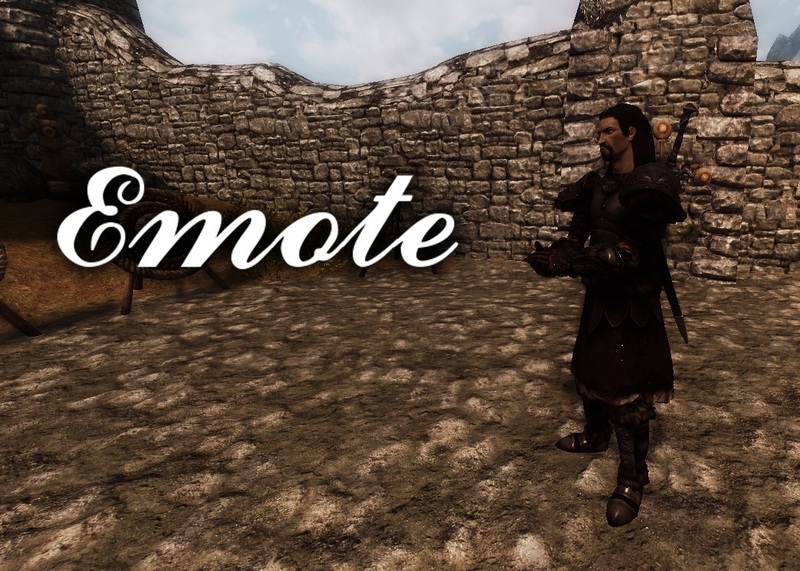 22 May 2013 <https://www.nexusmods.com/skyrim/mods/36306>. Skyrim Nexus, Praveen. 5 Dec 2012. 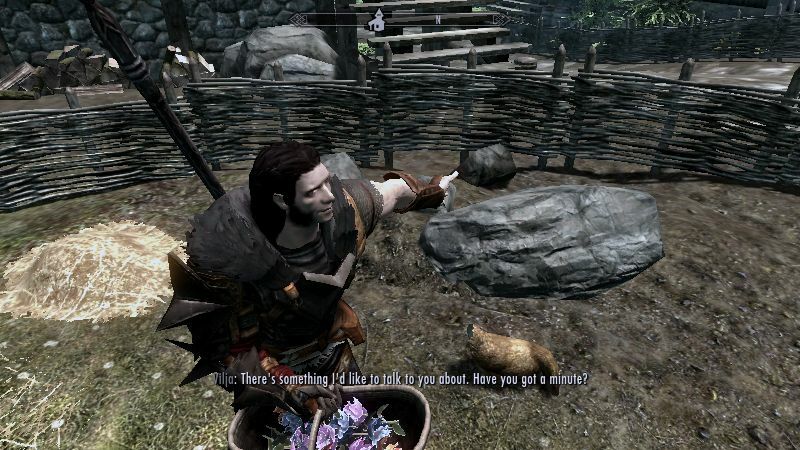 Interactive Skyrim. 5 Dec 2012 <https://www.nexusmods.com/skyrim/mods/27833>. Skyrim Nexus, Acid Zebra. 10 Dec 2012. True Player Idling. 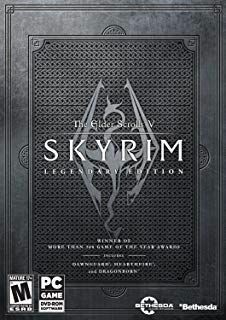 3 Dec 2012 <https://www.nexusmods.com/skyrim/mods/27759>. 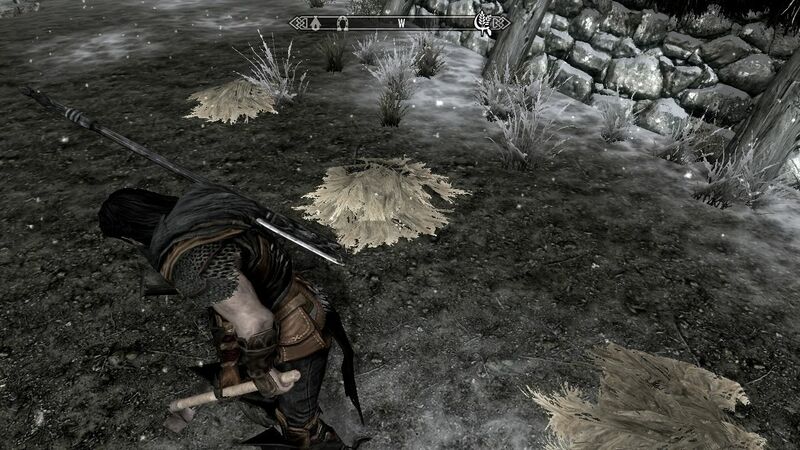 Skyrim Nexus, Niklass. 13 May 2015. Armor Animation. 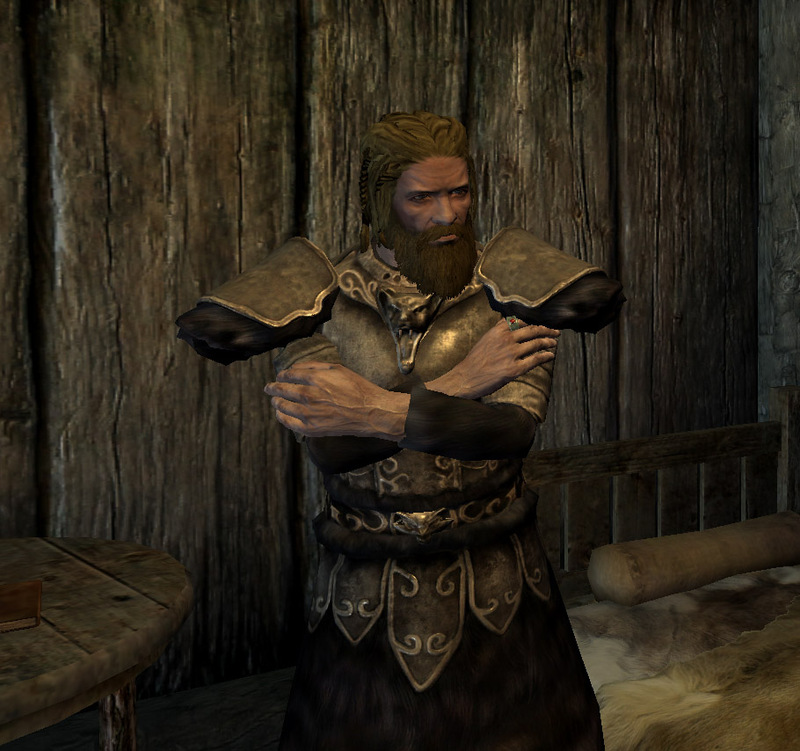 11 Jan 2014 <https://www.nexusmods.com/skyrim/mods/49750>.